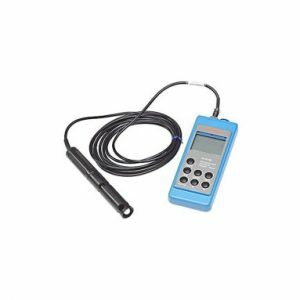 Water Resistant,microprocessor-based, Dissolved oxygen meter with automatic calibration and Temperature calibration compensation. extended Altitude & Salinity compensation. Range: 02,Saturation 02 & Temperature. 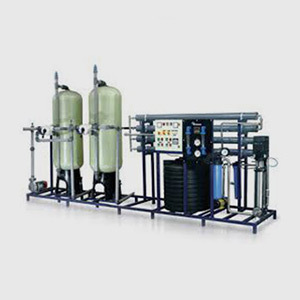 Essential instrument for testing Pharmaceutical and food Products as well as monitoring in water treatment plants. allows measurement compensation both for altitude and salinity factors. 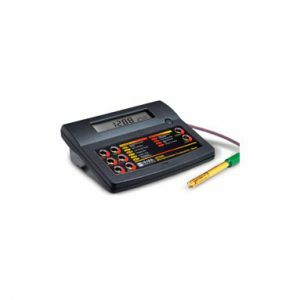 Supplied with polrographic sensors which measures the current generated by the reaction of 92 with Ag for enhanced stability.